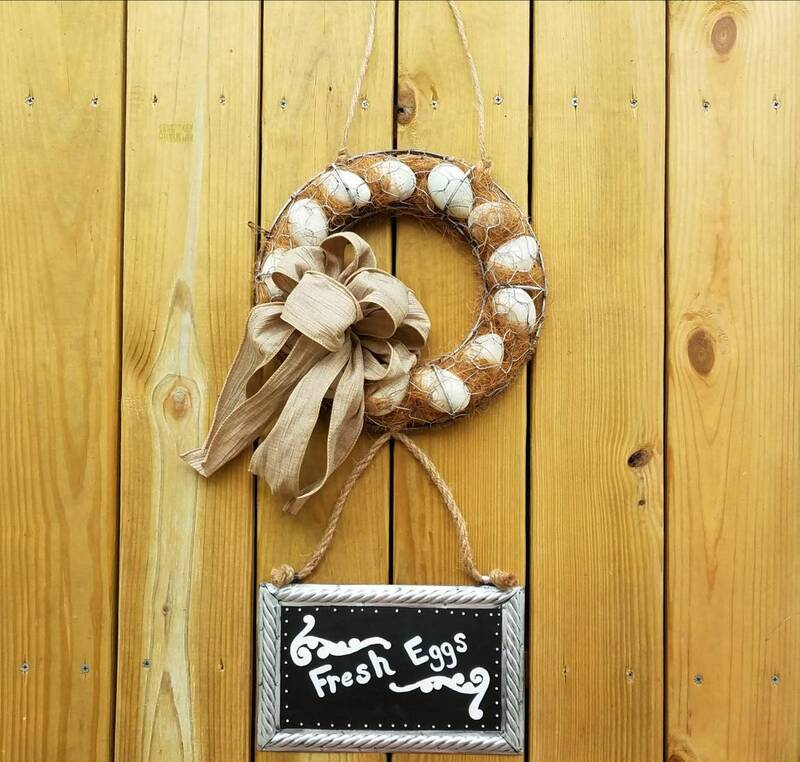 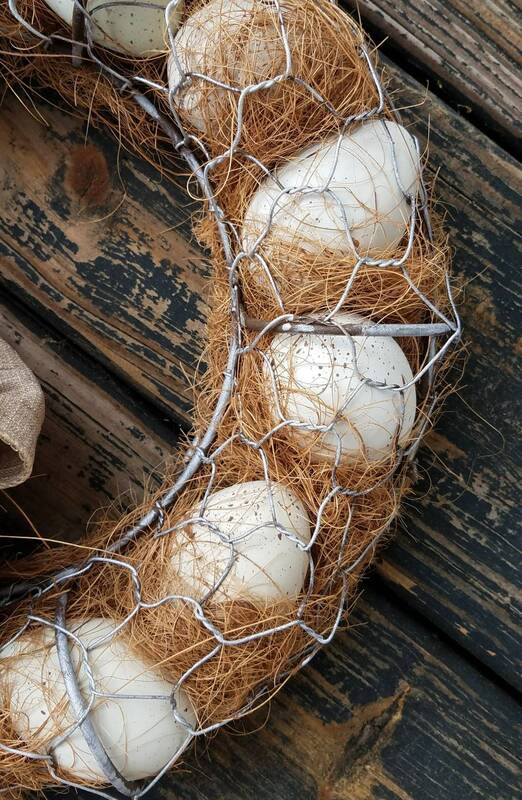 Our chicken wire and speckled egg wreath would make thr perfect addition to any farmhouse kitchen. 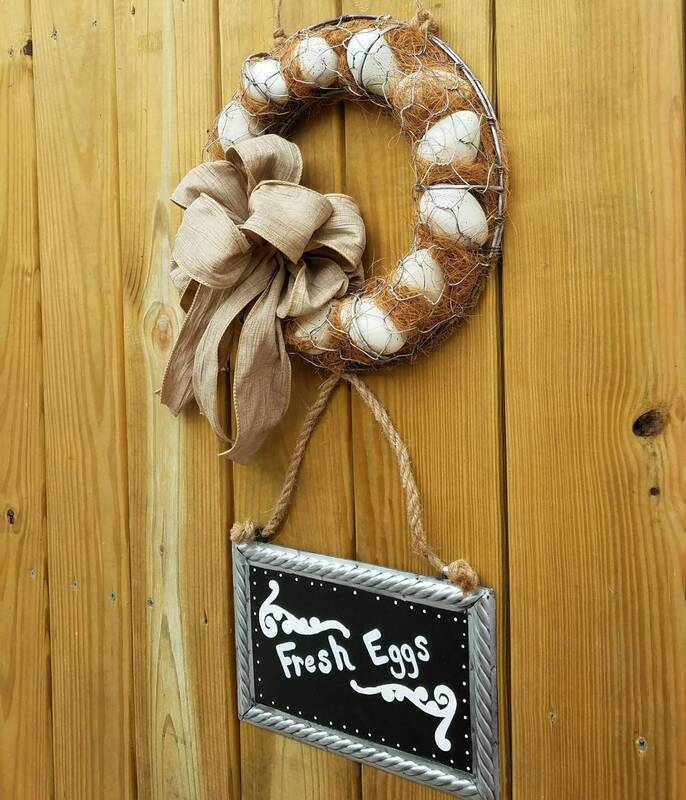 Hand dyed and speckled artificial eggs nest inside a chicken wire wreath frame. 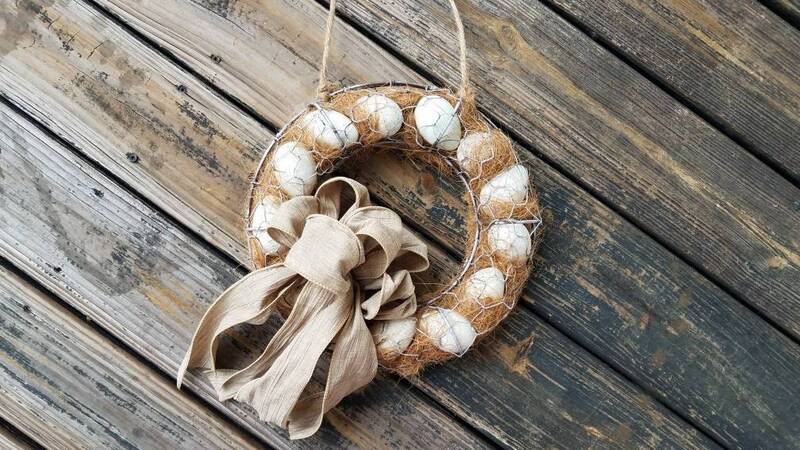 The frame is gilded silver with pops of brown showing through. 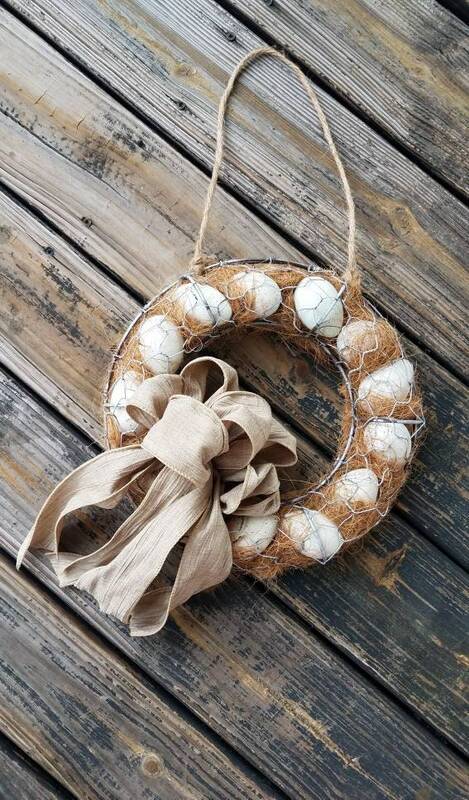 A neutral crush canvas bow completes the wreath which hangs from a simple jute rope cord. 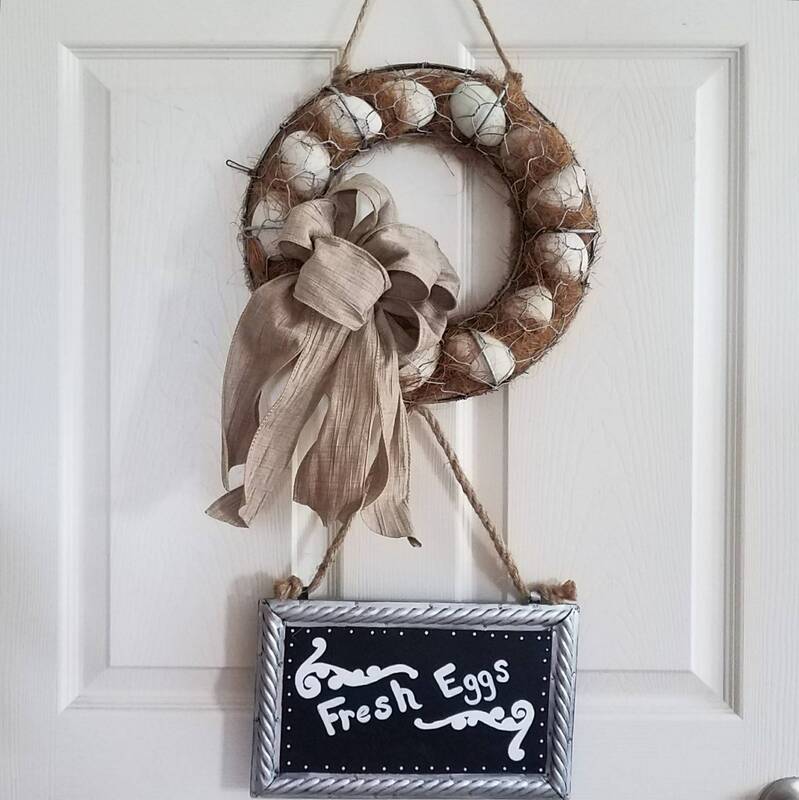 As an added touch you can chose our fresh eggs sign. 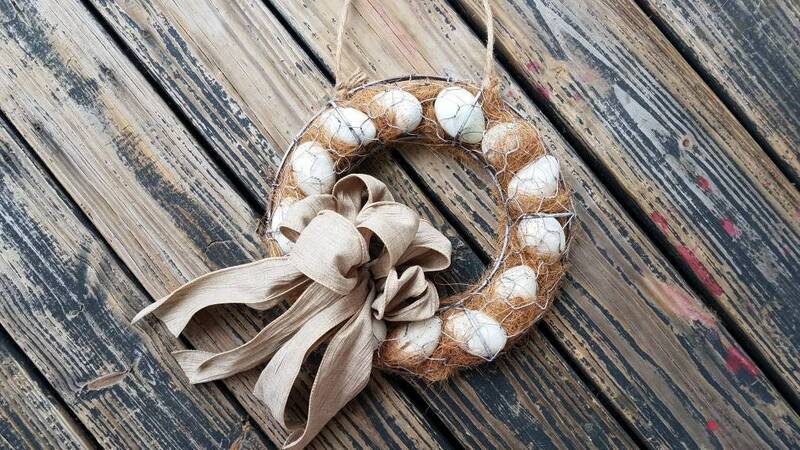 The wreath measures 13 inches wide by 18 inches long (tip to tip). 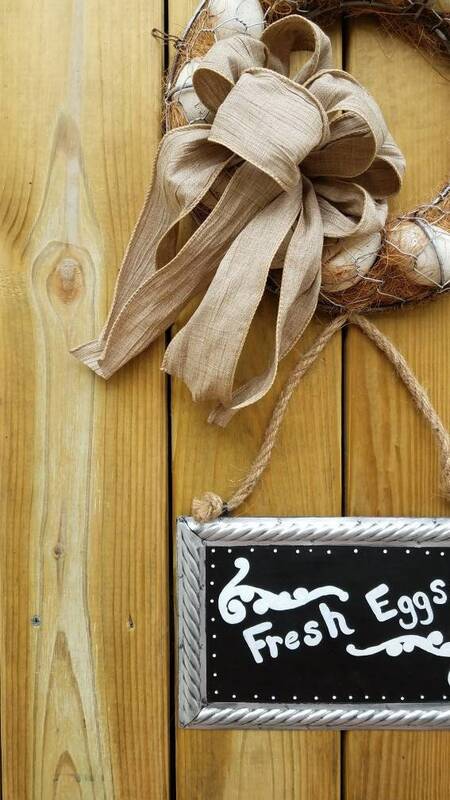 The wreatg with the sign measures approximately 13 inches wide by 30 inches long. 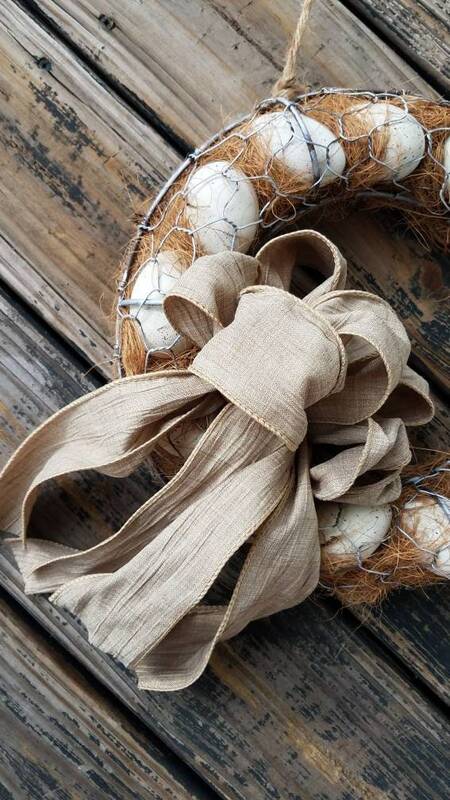 Length can be adjusted by shortening the jute rope on the wreath.